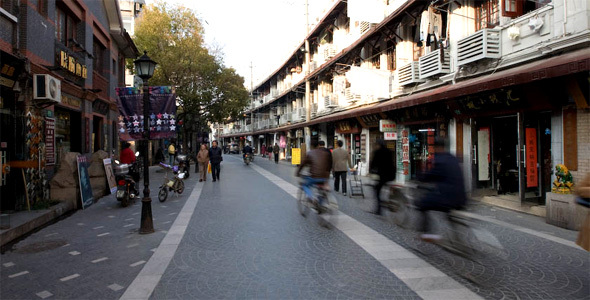 If places like Taikang Lu and Xintiandi are a contemporary and historical melting pot of Shanghai-ness, then Duolun Road is its timeline. When 50 Moganshan was still nothing more than a textile factory, some of the most radical and freethinking writers of their time were chilling out on Duolun Rd. It started with Lu Xun, China’s most celebrated literary son, who moved in to the area in the 1930s. Others, like Guo Moruo, Mao Dun and Ding Ling followed. Before long, Duolun Rd. had blossomed into a vibrant cultural district of writers, artists and Chinese liberals. The entire Hongkou District, just north of the Bund, where Duolun Rd. is located, was at one time a settlement of American and British diplomats, and thus has always prevailed as an area of Shanghai where internationalism flourished. When Duolun Rd. was first built in 1911, it was called Darroch Rd. after a British missionary who had once met with the Emperor during the Qing Dynasty. 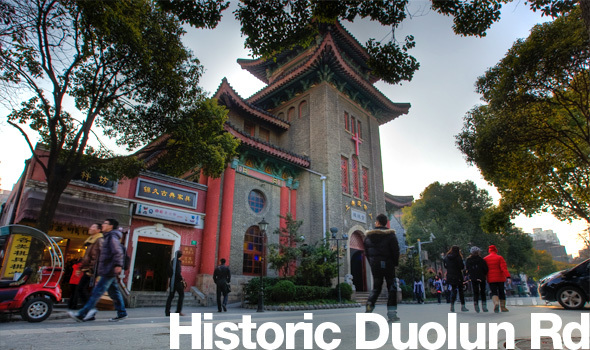 The road was renamed “Duolun Lu” in 1943, after the People’s Republic of China was established. By the end of the 20th century, Duolun Rd. had been pedestrianized and much of it restored, repainted and revitalized. Despite the many social, political and aesthetic changes around Duolun Rd. 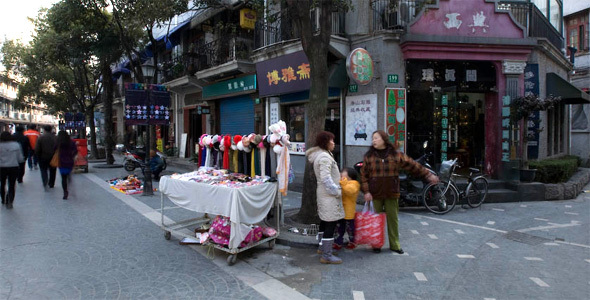 throughout the last hundred years, the street still runs its same course in an L-shape, connecting at its two ends with the bustling Sichuan Bei Lu. A hodgepodge of architectural styles interlace the road, weaving together a map of the street’s age like lines on a tree trunk. Old bookshops, antiques stores and trinket stalls line the edges of the street and give visitors a chance to partake in the Bohemian feeling of what was once the greatest literary center in all of China. Shopping is not why people go to Duolun Rd., but it is one of the perks of being there. That is, if you are interested in antiques, because antiques are really all you’ll find on Duolun Rd. A few dusty bookshops leave their doors open to passersby interested in historic and used books, most of them Chinese. Unnamed trinket shops sell archaic bits of jewelry – beaded bracelets, jade necklaces and old fans. And the dozens of antiques stores you’ll find there house fine examples of traditional Chinese furniture, wooden objects and historic porcelain (just be on the lookout for fakes, because they’re around, too). There is even some revolutionary paraphernalia to be found in the mix, if that’s your thing. Shopaholics may find another spot in Shanghai to be a more entertaining option. Shanghai’s “new heaven and earth”, hip modern Xintiandi, is a hotspot of entertainment, shopping and nightlife that really lives up to it’s name. Cultural districts never have a shortage of quaint cafes, and Duolun Rd. is no exception. Several small eateries are dotted along the road in between antiques shops and historic buildings. If you’ve ventured far afield enough to find Duolun Rd. in the first place, you’ll want to step inside Old Film Café, which pays homage to Shanghai’s contributions to the silver screen with their showings of old Chinese movies. Though their menu is limited, the classic film-heavy ambiance shouldn’t be missed. The Koala Garden House and Eucalyptus Café is perhaps the best spot on the street for a quick bite and a strong Illy coffee, which can be enjoyed in the café’s cute cottage setting amid a mishmash of colorful walls and stone columns. If it’s a truly hearty meal you’re after, a branch of the popular Japanese ramen noodle chain, Ajisen, is just around the corner on Sichuan Bei Lu. Though by far the smallest branch of Ajisen I’ve ever encountered, the food is just as tasty (and there is often a line out the door for lunch). After a day of eating and history, head on towards The Cool Docks, your very first stop for a luxuriant taste of Shanghai’s soft, romantic side, and an excellent way to start out the night’s revelries. The tie that binds Duolun Rd. together through a century of history is the architecture, and that too is the most charming thing about a walk down the street. 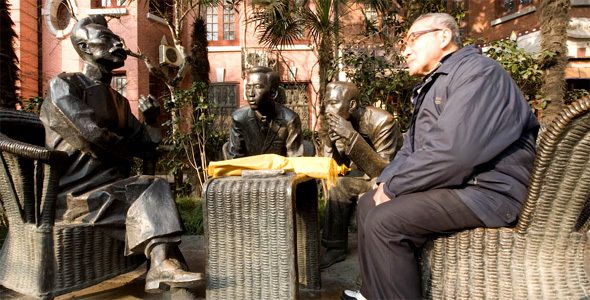 The strong presence of Duolun Rd.’s artistic past can be felt immediately as you enter the street from Sichuan Bei Lu. The first thing you encounter is the Shanghai Museum of Modern Art, which in truth is not as interesting or important as much of the art you’ll find at 50 Moganshan. However, the Shanghai MOMA is the only subsidized museum of modern art in China, and for that it has an important place in the world of Chinese modern art. Further down the road, Hong De Tang, the Great Virtue Christian Church, offers up a sublime architectural fusion, with its firmly European brick façade embellished by distinctly Chinese upturned eaves. A bit of neo-Classical French architecture is evident in the white-washed iron balconies of the Tangenbo residence just past Duolun Rd.’s L-curve; and at the end of the street, even an Islamic presence is visible in the Kongxiangxi house, a stately granite structure with rounded windows that suggest its Central Asian influences. And in between these, along Duolun Rd.’s .8 km stretch of cobbled stones, sit dozens of examples of Lilong houses in the style typical of Old Shanghai. Narrow, dense and packed together like stacked cardboard boxes, these buildings remind the visitor that yes, this is still Shanghai after all. If art is more your cup of tea, head on towards Shanghai’s art district, 50 Moganshan, the center of modern Chinese art in Shanghai. Though most listings will tell you to take a bus directly to Duolun Rd. (No. 21, 939, 231, 47, 854, 79, 18), the nicest way to go is actually by subway. If you take Metro Line 3 (yellow) and get off at Dongbaoxing Rd., it’s only a 5-10 minute walk to the entrance to Duolun Rd. at Sichuan Bei Lu, and is a pleasant way to see some of the authentic residential backstreets of Shanghai. Use Exit 1 and go right, following Hailun Xi Lu west to Sichuan Bei Lu, where you’ll turn left. You’ll know you’ve reached Duolun Rd., again on the left, by the large historic stone gate that marks the entrance to the street.